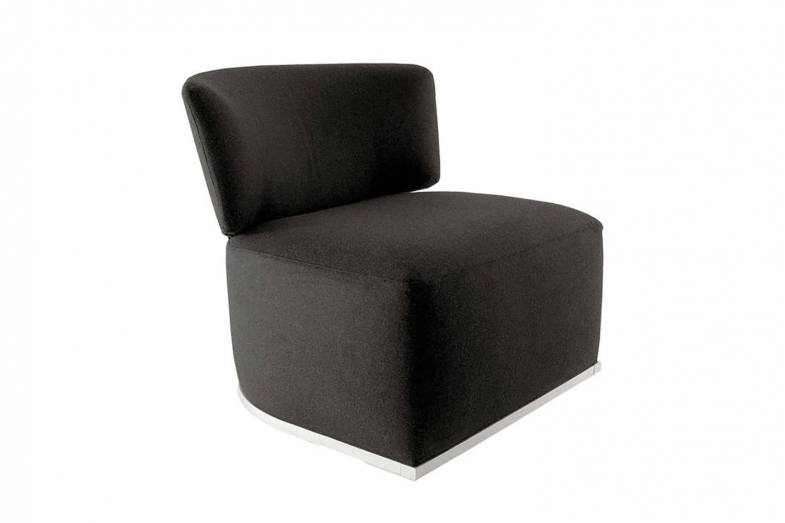 Amoenus is a range of chairs with a strong personality offering great comfort. Linear sofa with a deep seat padded with down; the corner or chaise longue version marked by a sizeable and enveloping backrest-armrest. The circular and rotating sofa can be used as a mid-room highlight piece. All of them include a bottom trim of bright brushed extruded aluminium. 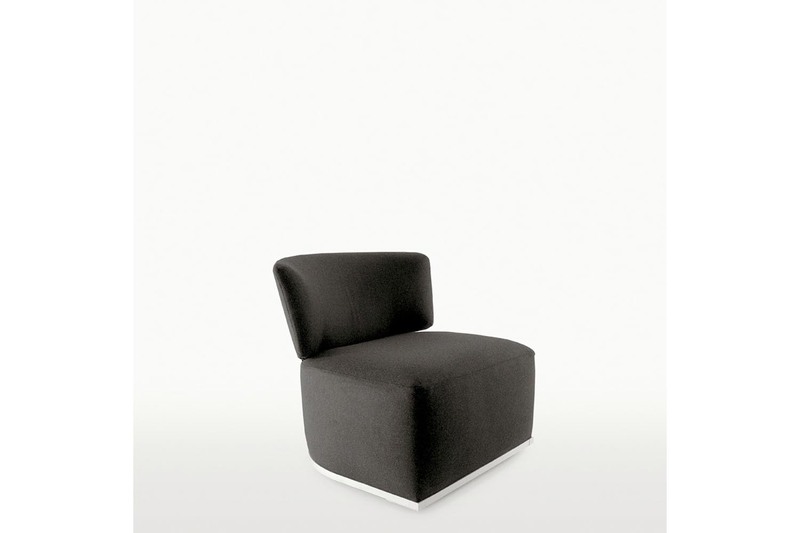 As a possible match, the revolving armchair with curved backrest.